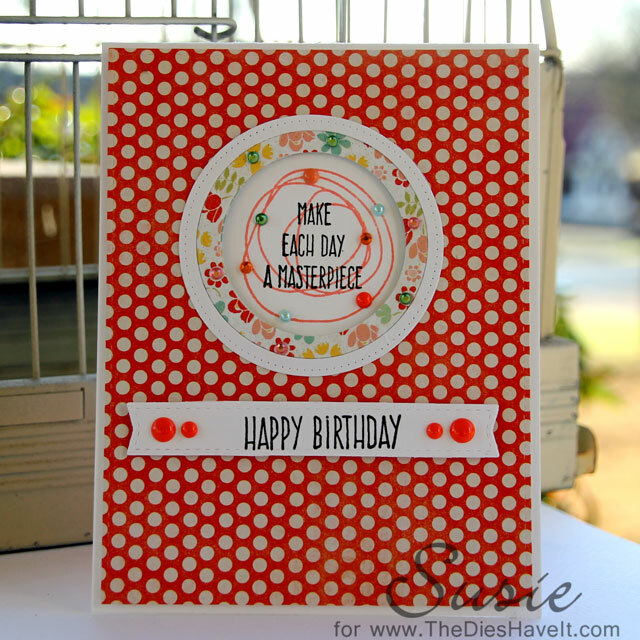 Today's card is made with stamps from MFT Stamps, my absolute favorite stamp company EVER. The set I used is called Whimsical Wishes. I just now am finding time to play with it and I am in L-O-V-E with this set. That scribbley little flower just plain makes me happy! There are plenty of sentiments to go on top of it and then some additional sentiments like the Happy Birthday one I used. I added some enamel dots and gems to the card to finish it. Off in the mail it is going to a brand new friend who is in an assisted living and celebrating her 103rd birthday. Now I think THAT is pretty awesome!!! !